Now, small business owners may think of the software to have a low budget using the software with ease. 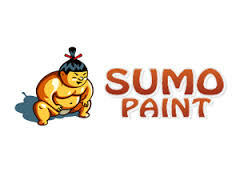 Well, the photo editing is the major software tool for increasing the small business for your website or offline media. In fact, there are certain photo editing software is placed at the top to enhance the business higher and faster with ease. This photo editing tool should have the effects and filters without breaking the images into pixels in addition, there are lots of free photo editing tools are introduced in the online to get download easily. Some of the photos editing tools are listed below as follows. 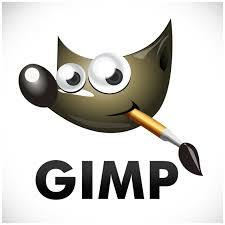 This type of GIMP is a versatile image editor that is used to edit the images and application view. In fact, it suits you to get the requirements faster and edit it clearly. In this tool, a lot of themes are required in the software to have numerous applications in it. You may add a color and widget spacing and change the icons as well as customize it. Obviously, a photo enhancement is easy and downloads to browse this application easy. In addition, it has a lot of designing tools and effects to merge the photos in a single process. With the advanced scripting interface, it allows everything to be edited and to do simple and multiple tasks with ease. This Fotor tool is launched in 2012. Moreover, this is a powerful and easy tool for editing the photos with ease. With a bulk of effects and settings, you can make quick and easy edits to adjust the lightening, brightness, contrasts, and other specification needed in the photo editing. While using this tool, it may completely change the appearance of images to look in fabulous way. This offers the professional level of features that suits you to take the editing software at a high level of interest. In this tool, the extensive photo retouching features allow you to make a perfect photo shoot with this editing tool. It is the online image editing software that provides in your browsers as a fantastic tool. It is the range between the two photos and allows edit in a simple way. Fortunately, 4 million users are using this software to edit the photo and make it realistic one. You can open files from your computer and then allow it for editing and correct the image level to higher contrast and sharpness. In this tool, the curve tool is used to edit the control the colors, adjust the tones of the photos in excellence. This is available for the web, desktop, and other mobile platforms. In fact, it gives you the precise control of images and tools foe editing process. You can use the stylish images to add the effects and other features to be added with ease. Moreover, it can blend with different modes of exposures and overlays to edit under the marvelous style of editing. It is available for both iOS and Android devices to make photo editing better and finer.